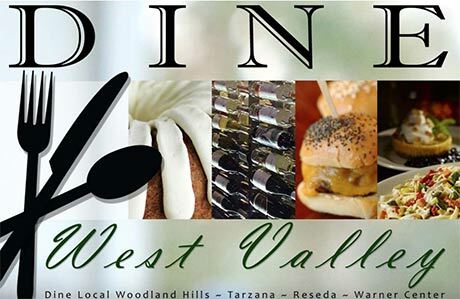 The Woodland Hills~Tarzana Chamber of Commerce Community Benefit Foundation, incorporated in 2011, is an extension of the West Valley~Warner Center Chamber of Commerce. This foundation was created to further the Chamber’s mission. The Community Benefit Foundation has a 501C3 Charitable non-profit status that was created to strengthen our ability to raise funds. Your Education Committee has started several programs to assist youth in our West Valley Community. We know that money and donations can fulfill needs of the school that are essential to student development. We have heard from business members that one area in which they wish they could have a greater impact is education. The West Valley Adopt-A-School program bridges those two needs and creates lasting relationships and ardent goodwill within our local communities. West Valley Adopt-A-School Program facilitates the partnerships between West Valley businesses and schools for the purpose of awarding cash grants to the schools. Participation by schools is free and easy. Agreement to participate allows a local business to select and adopt a participating school and provide them with a cash grant. Adopted schools are expected to provide their business partners with some exposure to their school community as determined. Annual Career Days with our Local High Schools have also been a great connection for our businesses and the future leaders. Get Empowered. Get Employed. is directed at youth entering the work force. The four areas we focus on are interview skills, resume writing, branding and social media behavior. We conduct workshops that include mock interviews and we offer to review their resumes as well. Many business professionals lend their time and expertise to these students. The education continues with our adults. Our Valley Regional Forum is working hard to bring education on legislative issues, election candidates, and other Government Affairs Committee agenda items. We also offer workshops to our adult community ranging from lessons in how to network to lessons in building your business with Social Media and more. Business Resource workshops and more. We also educate in the area of Disaster Preparedness and Conservation. Your Beautification Committee organizes 10-12 community clean ups per year, arranges tree giveaways with local Neighborhood Councils and many other beautification efforts. The Community Choice Awards has awarded 22 businesses since 2013 for aesthetic improvements, implementing sustainability and providing technological innovations to their tenants. The Woodland Hills-Tarzana Chamber of Commerce Community Benefit Foundation Beautification Committee works on improving business districts within the Woodland Hills-Tarzana area through alliances with the City of Los Angeles, local homeowners groups, and other government entities. We have participated in and contribute to: Anti-graffiti projects, Clean-Up days, Reseda Holiday Lights, and many more community enhancement events. Recently, we have planted over 100 trees in Woodland Hills and Tarzana along Ventura Boulevard. Your Beautification Committee organizes 10-12 community clean ups per year, arranges tree giveaways with local Neighborhood Councils and many other beautification efforts.